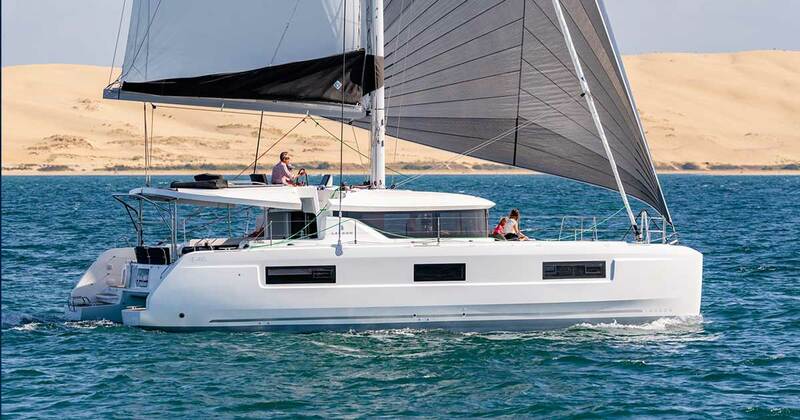 We are glad to announce that French Beneteau Lagoon 46 is coming to our fleet 2020 year. 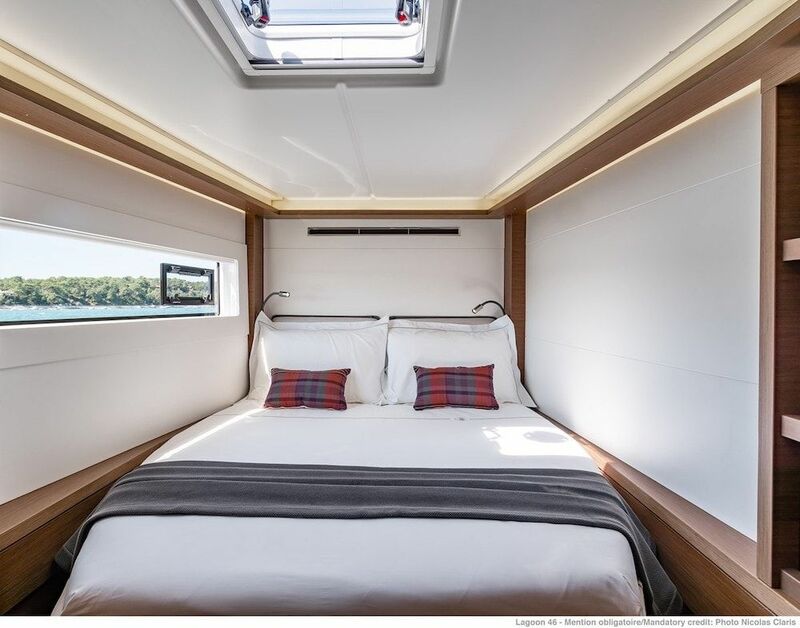 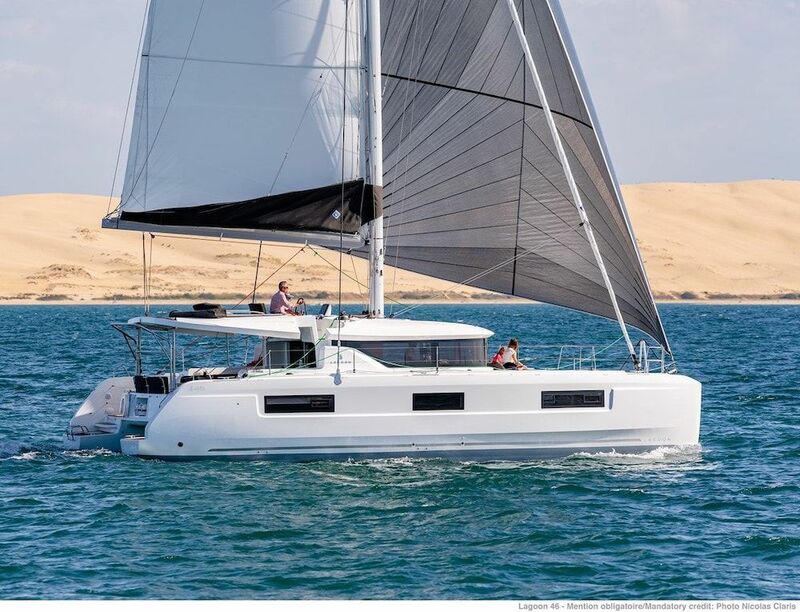 The new Lagoon 46 sailing catamaran will be based in Greece and Croatia and we are also offering charter management program to all future investors of this luxury catamaran. 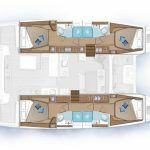 The new Lagoon 46 for charter will come as a new model of one of the most popular multifull model of the Lagoon shipyard, the lagoon 450. 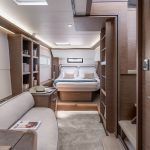 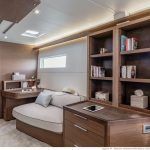 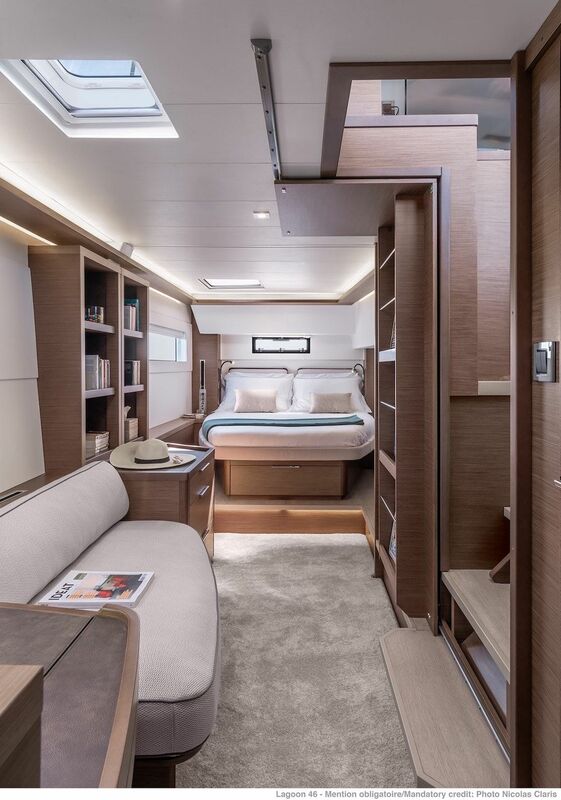 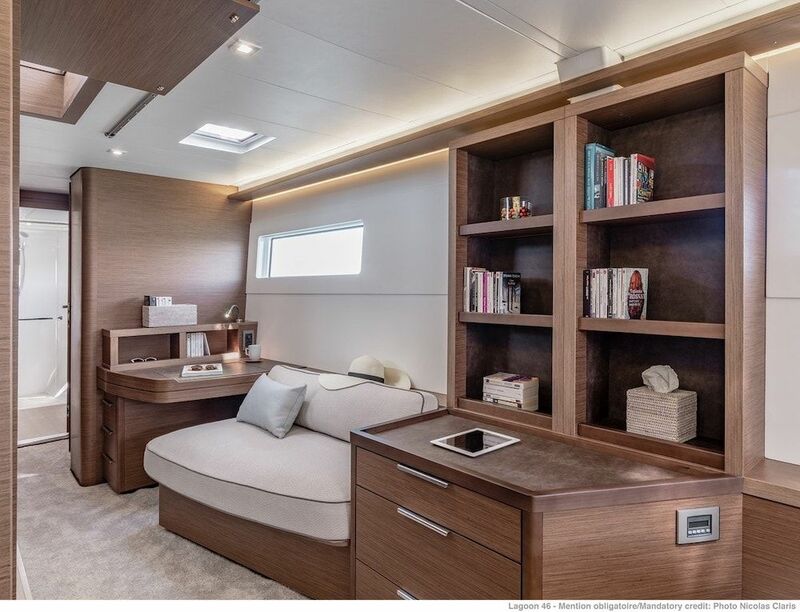 The interior is designed by VPLP naval architects and exterior styling by Nauta Design. 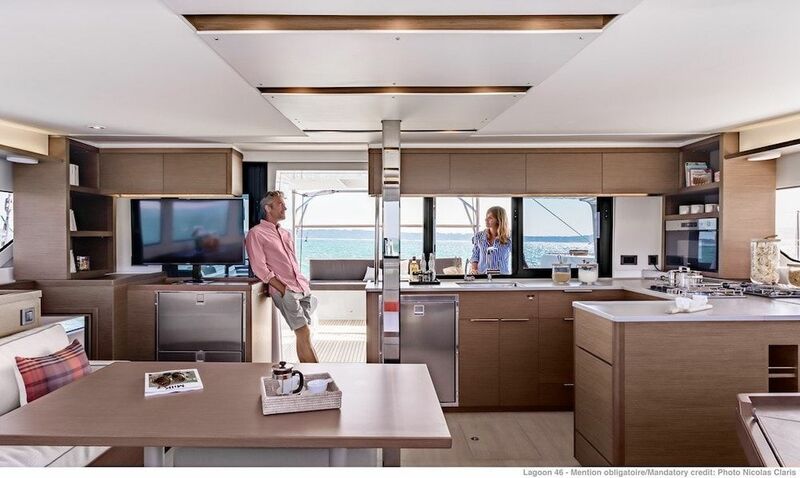 The new Lagoon 46 catamaran will set the bar in the 45 ft class with innovative comfortable interior and silhouette. 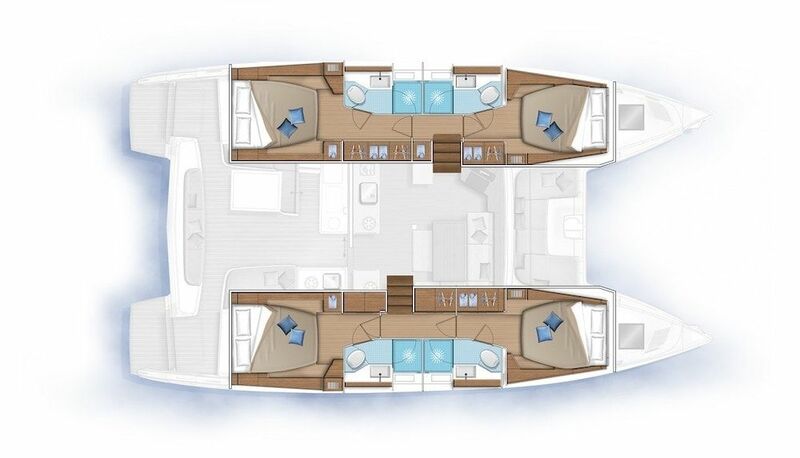 With large side glass you will have more natural light in the saloon but also in cabins. 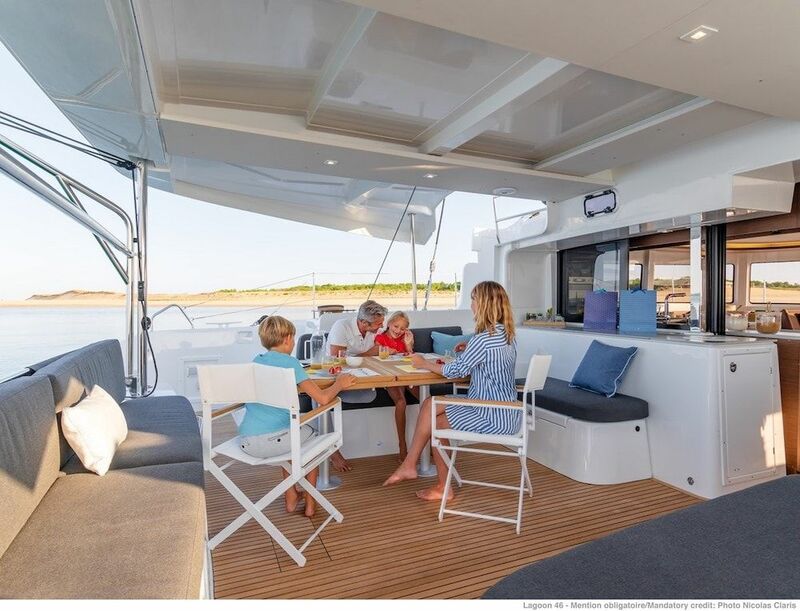 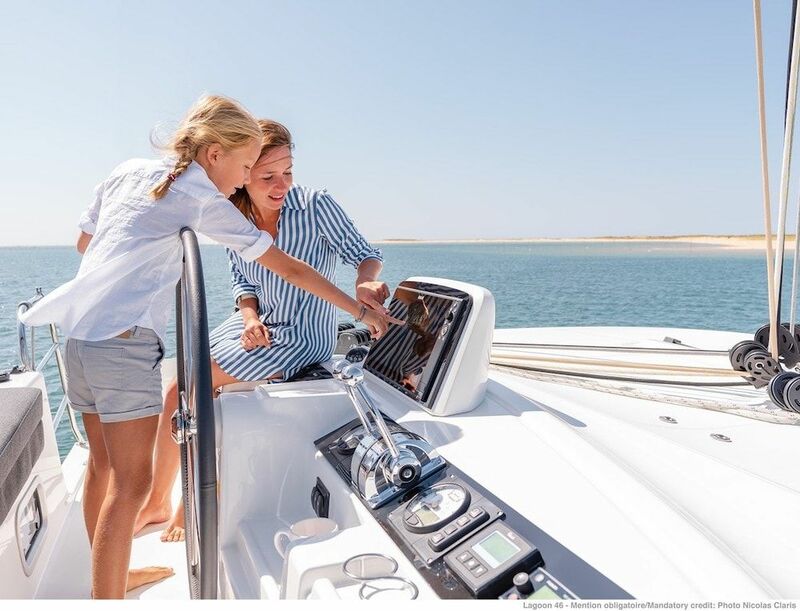 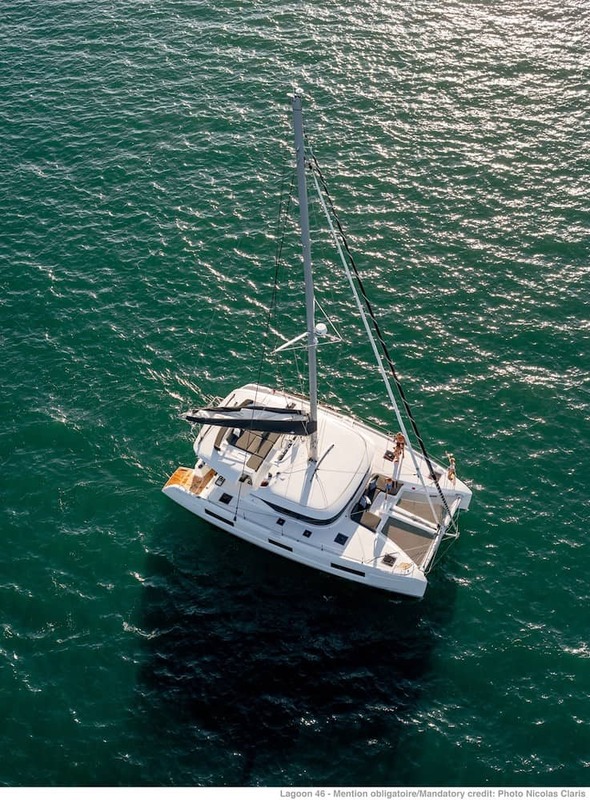 The Charter fully equipped U-shaped galley will offer you more space and more luxury with comfortable cockpit and redesigned flybridge with multiple accesses and more spaces in the cabins, it’s the best catamaran for charter for friends and family. 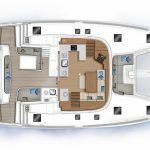 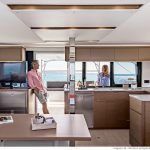 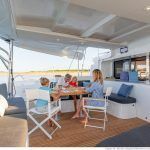 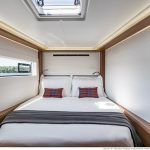 The new Lagoon 46 charter catamaran will have one amazing feature, the hydraulic platform so the dinghy entrance system will provide easier and safer access but also much more living space at the back of the catamaran. 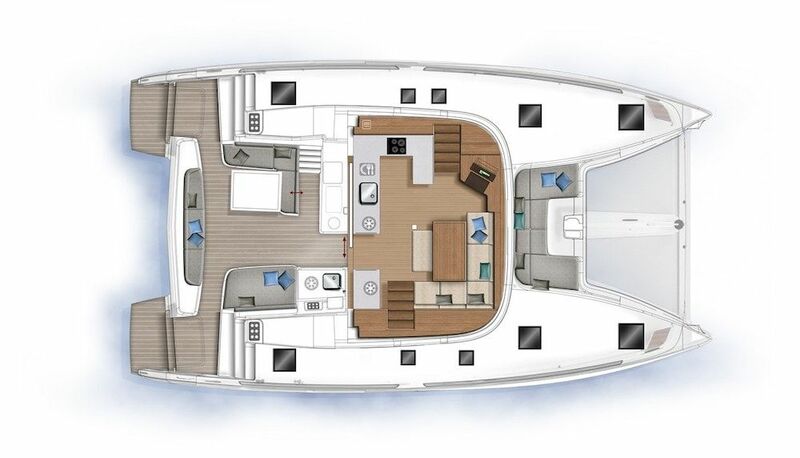 The sash bow window will give direct access to the forward cockpit so it connects the aft with the saloon but also the bow. 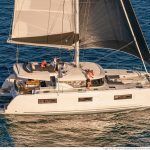 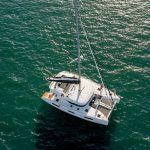 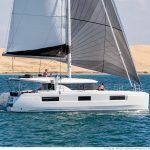 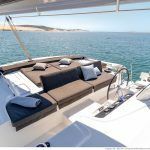 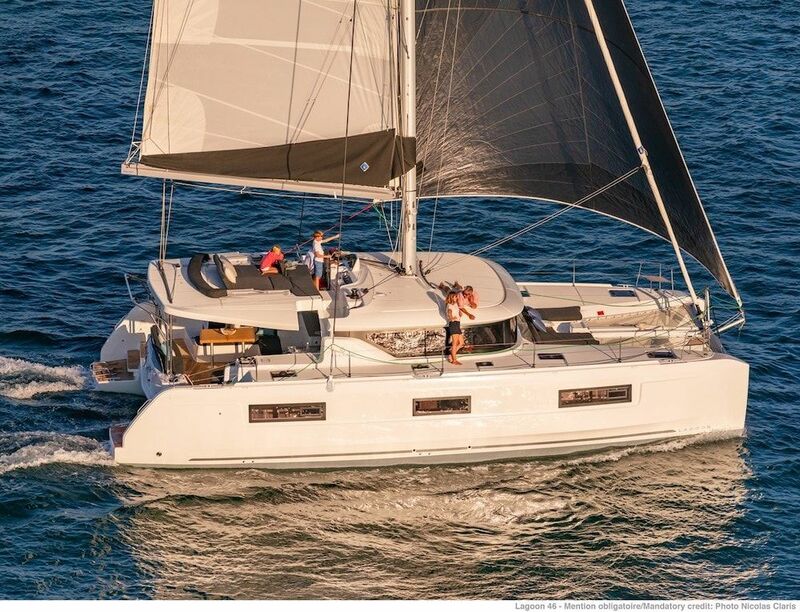 Charter catamaran Lagoon 46 will come with brand new and modern fetchers like: aft-stepped mast, Larger sail plan, FlatWinder electric furler, self-tacking jib for easy sailing and much more. 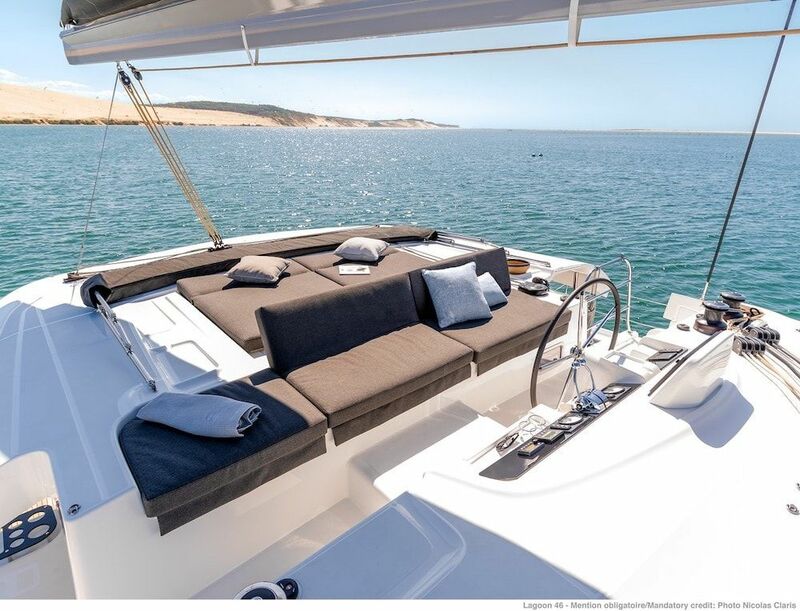 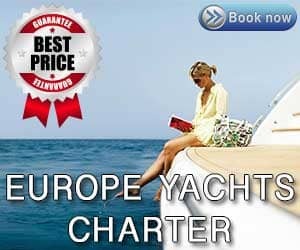 Contact Europe Yachts Charter Group for more information’s for the catamaran charter Lagoon 46 and our luxury Lagoon 46 charter management service.